Looking for good suppliers and any 2nd hand Facebook groups to put together an easy "Gunslinger" getup - any help/direction appreciated. Also any contact details for Old West groups - can't seem to find any but I know I've seen them at events I've been to in the past! Topic: Holy Orders in England, 13th c.
Perhaps this is not the correct place to post so apologies if not, but does anyone know of anywhere selling reenactment gear with Black Friday sales? 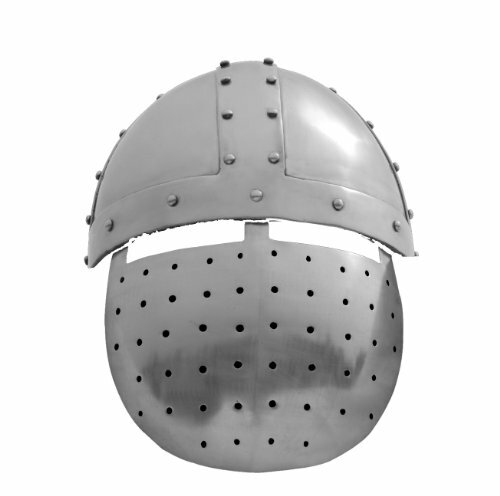 Topic: WTB: "Crusader Faceplate Helm"
I don't suppose anyone might know where this helmet comes from? GDFB apparently used to sell them, but not anymore. I'm trying to shop around to find the cheapest option etc. but alas to no avail. Yepp Medieval is preferable! I'll let him know and hopefully he'll be able to make your practices etc. when he gets back after the summer! Cheers!